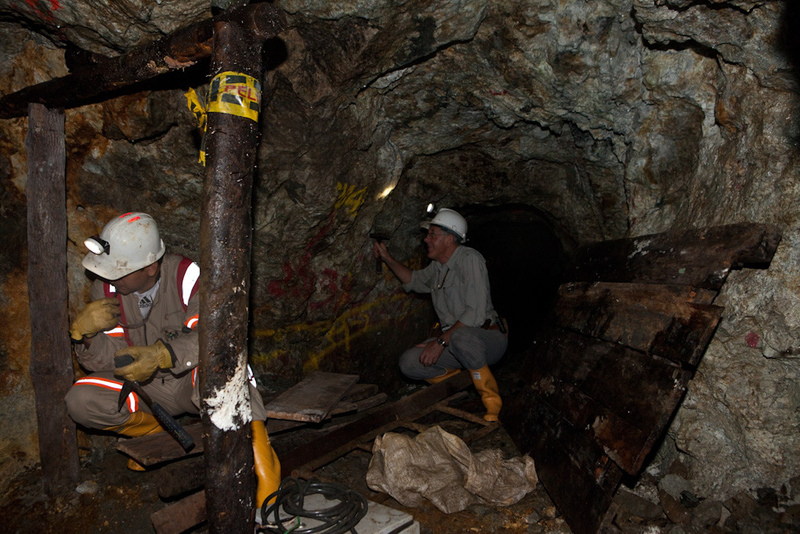 Exploration drifts trace the San Antonio vein at Continental Gold’s Buritica project. A few news releases of note on a fairly quiet Monday morning – it must be the post-Halloween chocolate hangover. Continental Gold has provided an update on its environmental permitting process, which it is working closely with Colombia’s national government on. Continental now expects to file a revised environmental permit application to Colombia’s environmental permitting agency in January 2016. The application will be reviewed “on a priority basis” and the company anticipates approval in the first half of 2016. Continental’s high-grade Buritica underground gold project hosts a resource estimate of about 4.71 million ounces gold equivalent in the measured and indicated categories, and another 4.8 million gold-equivalent ounces inferred. The project has been designated a Project of National Strategic Interest, which allowed the company to elevate its environmental permit application from the regional authority to the national environmental permitting agency. Continental was granted a 30-year mining license in March 2013. Eurasian Minerals’ Haiti joint ventures have arguably been a bit of a lemon, and the royalty company made some lemonade today by selling them to a division of Newmont Mining for $5.3 million Cdn. Eurasian also retained a .5% NSR. The deal covers six exploration areas along a 130-km trend and have been on care and maintenance since 2013. The cash will help firm up the balance sheet of Eurasian, which has cash-flowing royalties from Nevada’s Carlin Trend and a portfolio of assets globally. Last week Eurasian announced it had regained 100% control of its Akarca gold-silver project in Turkey after the Turkish partner passed on an option. As of June 30, Eurasian had cash and equivalents of about $2.1 million and working capital of about $4.5 million. Thom Calandra is bullish Eurasian and touched on planned EMX moves in a post from the New Orleans Investment Conference. Lithium play Pure Energy has expanded its land position in Clayton Valley, Nevada, the epicentre of the emerging lithium land rush. On the financing front, Paul van Eeden’s pipeline-monitoring play Synodon announced its intention to raise $2 million in a private placement by selling 40 million 5-cent units with a full 3-year warrant at 6.5 cents. Check out CEO Chat, the investment conference in your pocket, for conversation and insights into the junior resource market.